Hi!!! Break’s over and I’m definitely ready to get back to school. Yesterday, I suddenly realized that despite all the extra time I had, I hadn’t lifted a finger in the kitchen. What’s more, we recently had it remodeled: new countertops, new cabinets, new fridge and an AMAZING new oven. In addition to the normal features like broil and upper/lower rack heating; it also comes with 2 fan settings, grilling and quick heating. I just had to test it out. What to make? 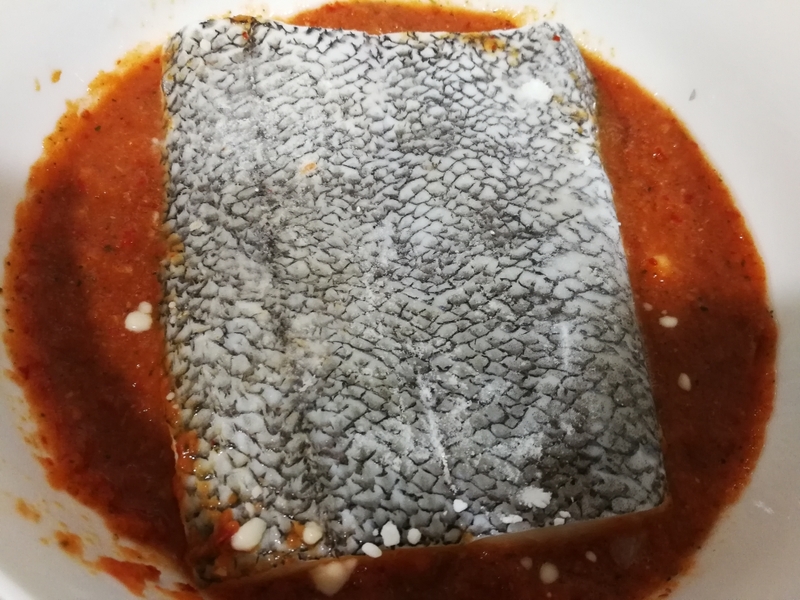 Well, I scrolled through my “recipes that I’ll try when I’m motivated enough not busy” list and found this recipe I came up with last summer- Oven Roasted Cod. 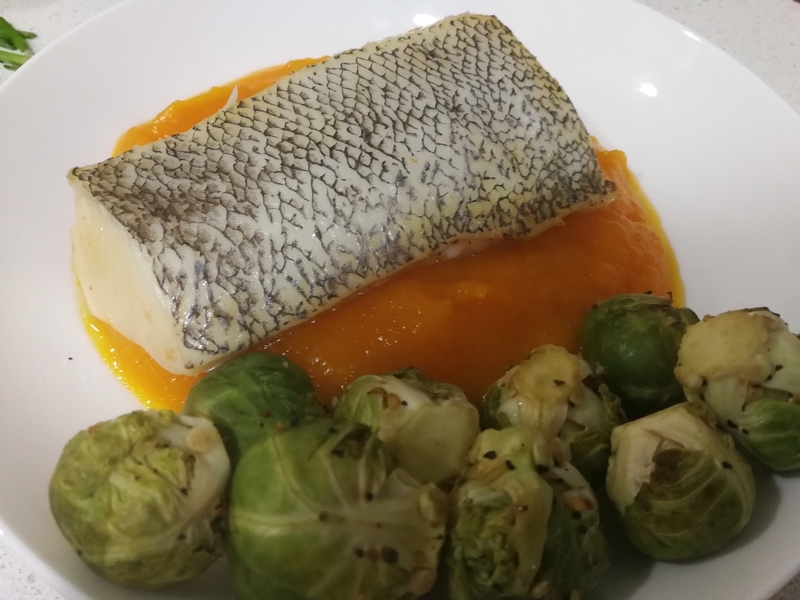 It’s fall now, so I decided to pair the cod with a nice pumpkin puree and some brussel sprouts. It’s healthy, simple and DELICIOUS!!! 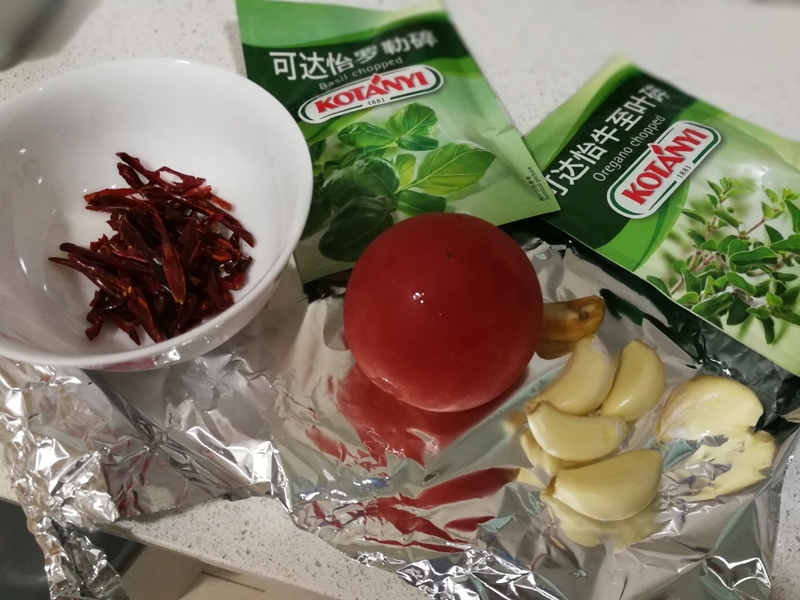 Let’s get cooking! Veggie time! 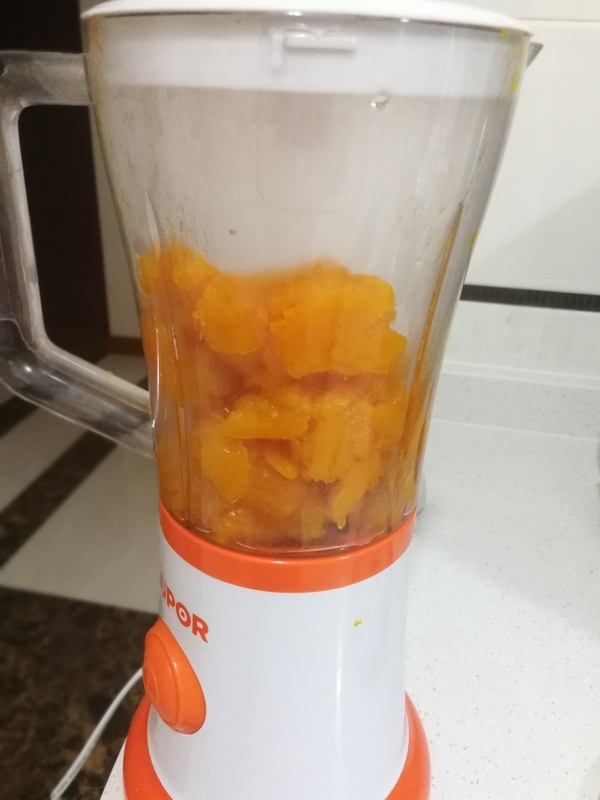 This is the easiest part of the recipe. Just halve the pumpkin, scoop out the center. Since it is a puree, be sure to clean out as much of the fibers as possible. Sprinkle on a bit of kosher salt and roast skin up. Meanwhile, toss the sprouts in some salt and pepper (I used steak seasoning) and throw them in with the pumpkin for 15-20min. After the pumpkin is very soft, scoop out the meat and puree with a bit more salt to taste. Simple right?! Finally the fish. Remove filets from marinade and use a paper towel to remove excess water and baking soda. 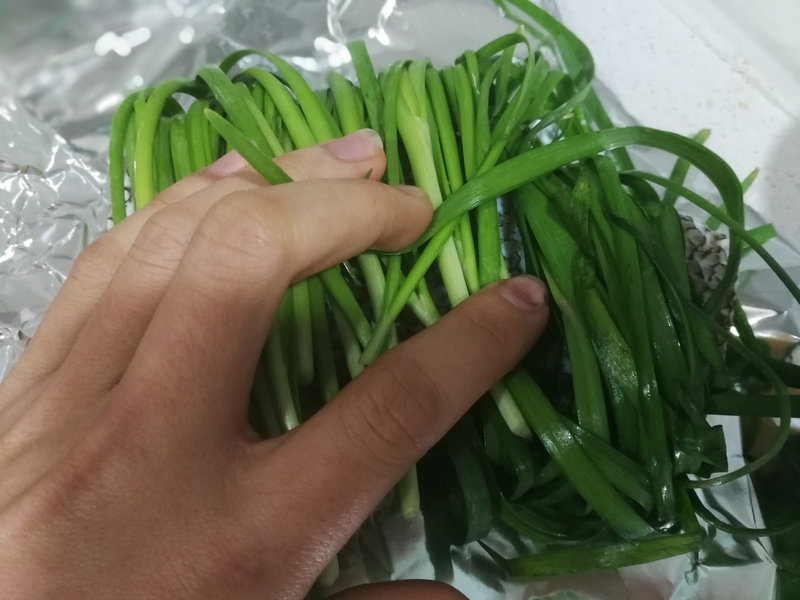 To ensure the most moist meat possible, I wrapped the fish in chives. Garlic sprouts, banana leaves or even lotus leaves would also work. 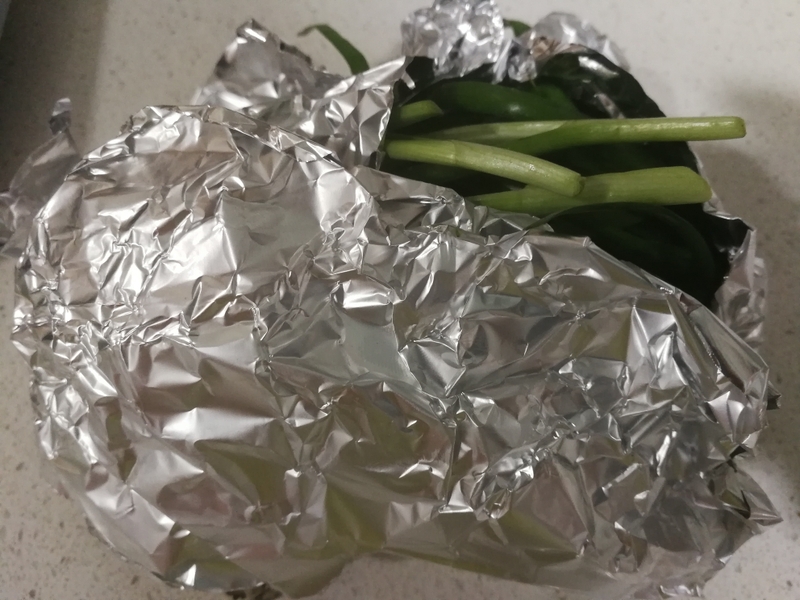 The chives didn’t hold together very well, so I fixed the bundle with a bit of foil. Then, into the oven. My filets were quite thick, so it took a good 12min at 180C. Cooking times will vary, but better err on the side of more time. To finish off, unwrap and broil until the skin starts bubbling. Finally, plate serve and enjoy! Preheat oven to 200C. Halve pumpkin, scoop out center, sprinkle with salt and roast skin up for 30-40min. Heat oven to broil (or the highest temperature possible) and broil for 3-5 minutes. The skin should be slightly browned and the fat should be rendering. Remove from oven, Plate, serve and enjoy! That’s it! The prep is a bit long, but its TOTALLY worth it. Anyways, that’s it for this week. I’ll try to do more recipe posts in the future. I hope everyone has a great week!